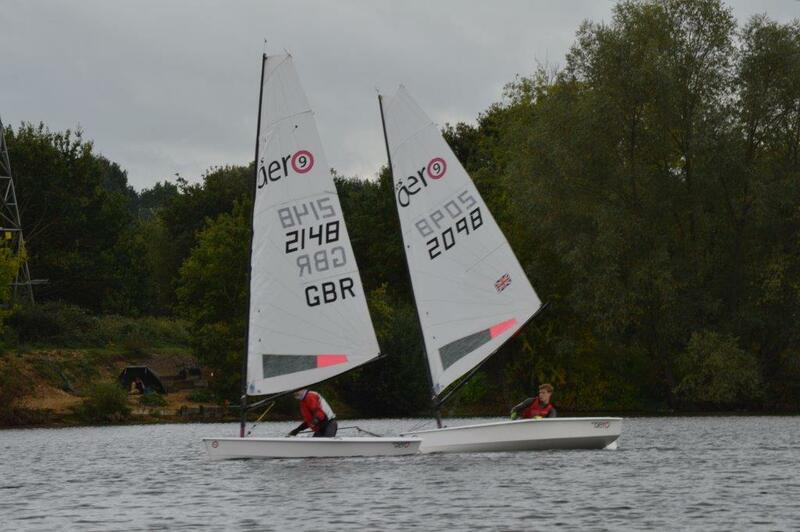 The first ever Papercourt Sailing Club RS Aero open meeting saw a fantastic mix of sailors. 20 entries, 12 clubs from Cornwall to Cambridgeshire, all three rig sizes and all entry categories (juniors, youths, ladies and masters). Papercourt formed Round 7 of the 10 event RS Aero UK Southern Circuit with the series coming to a head this autumn. To start the day we had bacon butties whilst Peter Barton gave a 15 minute on-shore coaching session with hints and tips on how to reap the best out of an RS Aero with regards to Papercourt’s challenging race track. The wind steadily filled in and racing got underway once 55 potential RS Aero sailors (35 in Optimists and 20 in Toppers) had finished their early youth training session and made space. 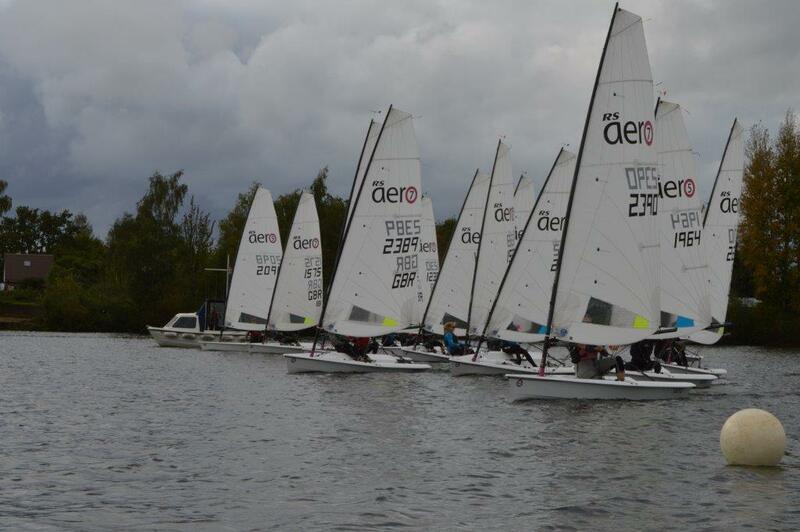 It was a cosy start on the wide part of the lake with all three fleets on the same line racing on PY. A short course kept things interesting with plenty of action and the lead boats completing 7 or 8 laps! Peter Barton got a solid win in a 9 rig. Noah Rees came in 2nd for the 7s. Tim Hire came in 3rd in a 9 rig showing the Lymington Youths are a force to be reckoned with! The wind picked up for Race 2, and there were a few swimmers! Despite the increase in breeze, the results were dominated by the 9s with the three top-spots going to the bigger risg who escaped at the start. Gareth Griffiths kept Pete under pressure, but Pete held on to post another win. After refuelling with a generous lunch, race 3 got underway and this time it was the 7s that dominated. Noah Rees took the bullet for Torpoint with Papercourt sailors Richard Guy and Mark Carleton at last making use of home advantage to take 2nd and 3rd. It was all to play for in the last race. A big shift on the start line opened things up with Gareth and Mark breaking away with an early lead. As the wind dropped the fleet closed the gap with Caitie Atkin finding form finishing in 3rd place with just 2 seconds separating her from 4th and 5th place. Then ashore for cake and prizes kindly donated by the series sponsor, Magic Marine. Picking a winner was tricky as it couldn’t have been closer: the three top positions were all tied on 8 points after discard! In the end the journey from Cornwall was made worthwhile for Noah Rees who won the day overall for the RS Aero 7s and was also 1st Youth (U19). Mark Carleton finished 2nd for the home team and Gareth Griffiths finished 3rd overall, 1st RS Aero 9 and 1st Master for Island Barn. Tim Hire was 1st Junior (U16) in 4th and Caitie Atkin 1st Lady in 8th. 1st RS Aero 5 was Janet Schofield in 11th.